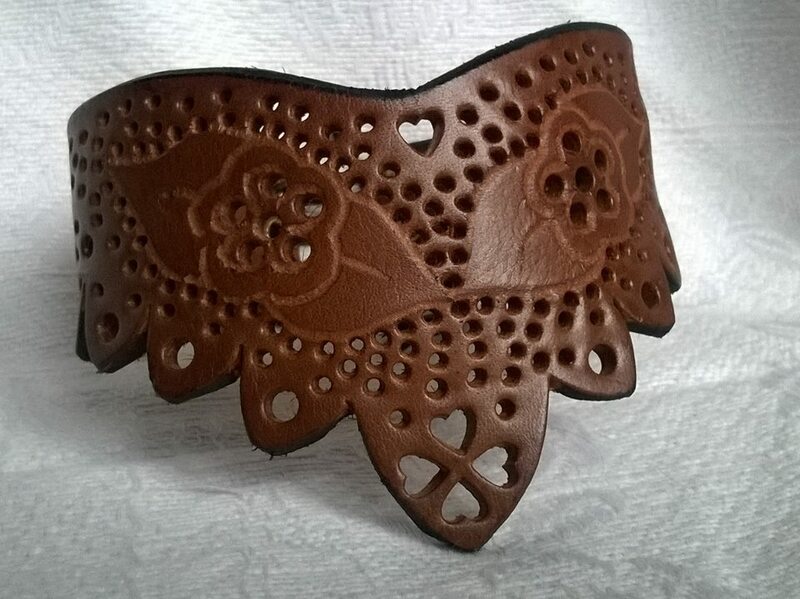 A hand carved leather collar. Made from 3 1/2 mm veg tanned leather. 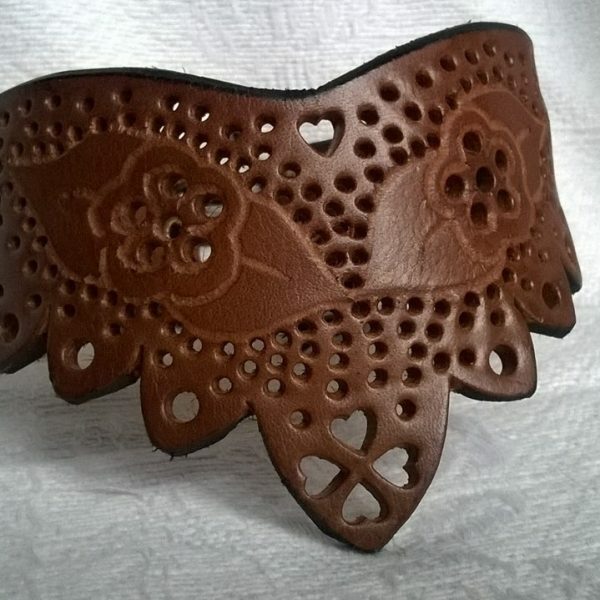 A hand carved Leather collar. Made from 3 1/2mm veg tanned leather.